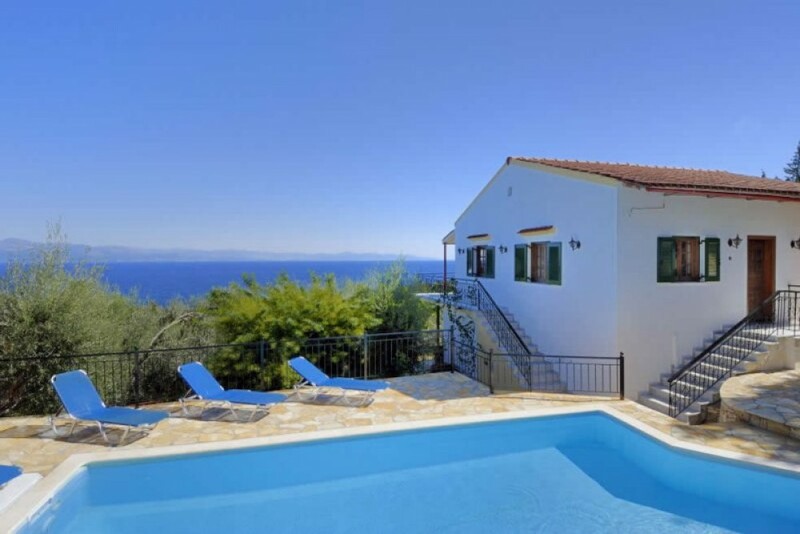 Located just outside of Loggos within the sleepy hamlet of Kondoyiannatika this family villa has a private pool, lovely outdoor areas,amazing sea view and is ideal for one family or two groups that would like to be close to each other but have the luxury of their living areas. Open plan living/dining/kitchen area with fully equipped kitchen , cooker, fridge- freezer, twin sinks, kettle, sandwich toaster. Ground floor: 1 twin air conditioned bedroom, with mosquito nets over the beds. Maid services: 6 times per week (includes washing dishes) linen, Bath towels provided.